god , where did you dig that from , awesome video mate . Thanks for dropping by Mo. I somehow stumbled upon it. Can't really remember where. ohh ya , feel the love in the air , lol ! indeed! what a fantastic glimpse into their "real" universes. 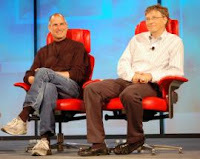 regular guys who changed the world. One rare site I guess!